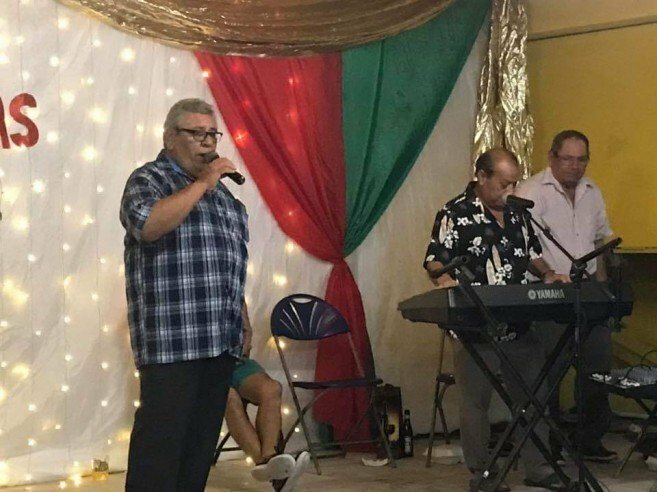 The San Pedro Lions Club once again hosted their highly anticipated and popular Senior Citizens’ Christmas party 2018 on Thursday, December 20th. The doors opened at 6:30PM and over 80 guests were warmly welcomed by fellow Lions, Leo members and volunteers. After the guests were seated, they were treated with an appetizer, drinks, Christmas dinner and dessert. The festive evening was full of entertainment, with music provided by San Pedro’s very own, Rompe Raja! Many of the seniors got up and danced into the night. 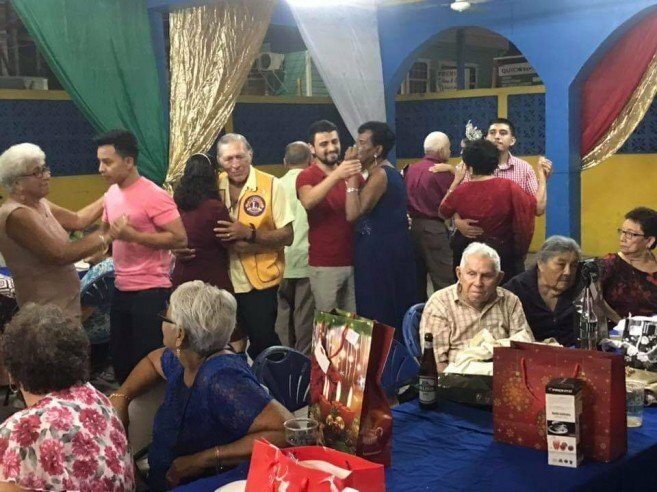 This year, the staff at Belize Bank, along with members of the San Pedro Lions Club, provided gifts and handed them out to some very seniors. 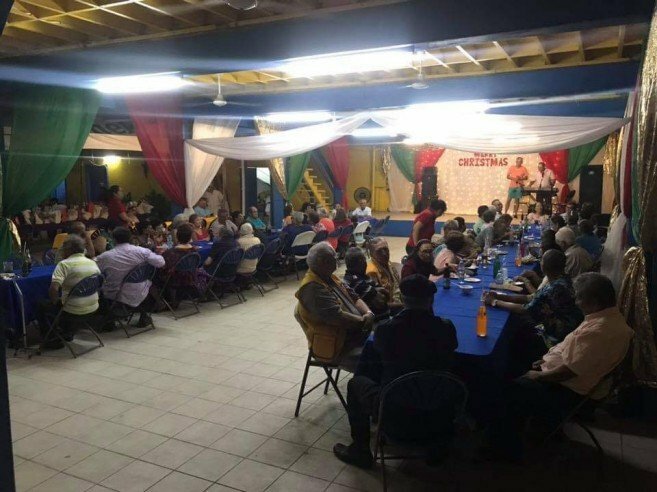 Vice President Everette Anderson shared with The San Pedro Sun that the annual party is to show the island’s seniors that the Lions Club appreciates them for their contribution to San Pedro Town. 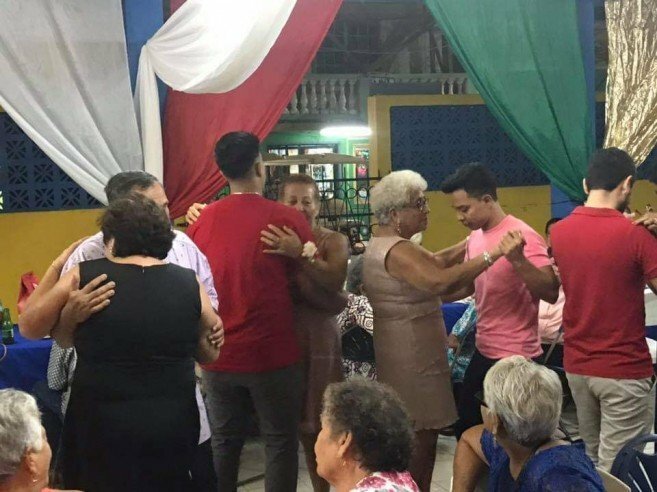 “The senior citizens of the island don’t often have a place to spend time together and catch up, so this annual Christmas dinner serves a good way to do so. 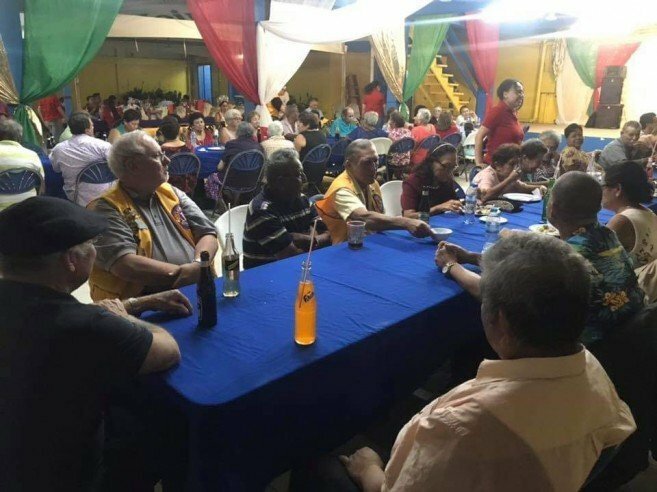 It is also important to show them how much we appreciate what they have done for the community of San Pedro,” he said, adding that this year’s turnout was great. “This is the reason I continue to be a Lions Member because of events like these that acknowledge the great people of our island,” he ended. The annual event wouldn’t be possible without the support and contributions of local businesses and individuals who kindly donated items. The San Pedro Lions Club expresses thanks to all those that made the Senior citizen’s party a success.